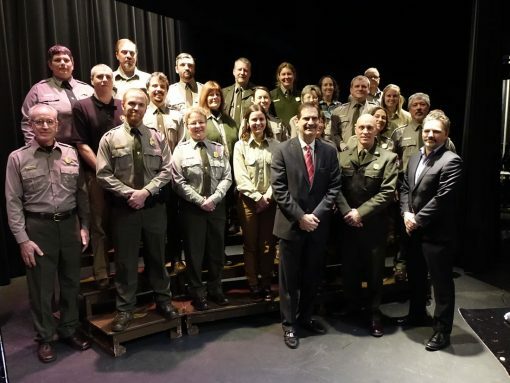 On Wednesday, Feb. 7, quarters honoring Pictured Rocks National Lakeshore in Michigan were formerly introduced to the public. 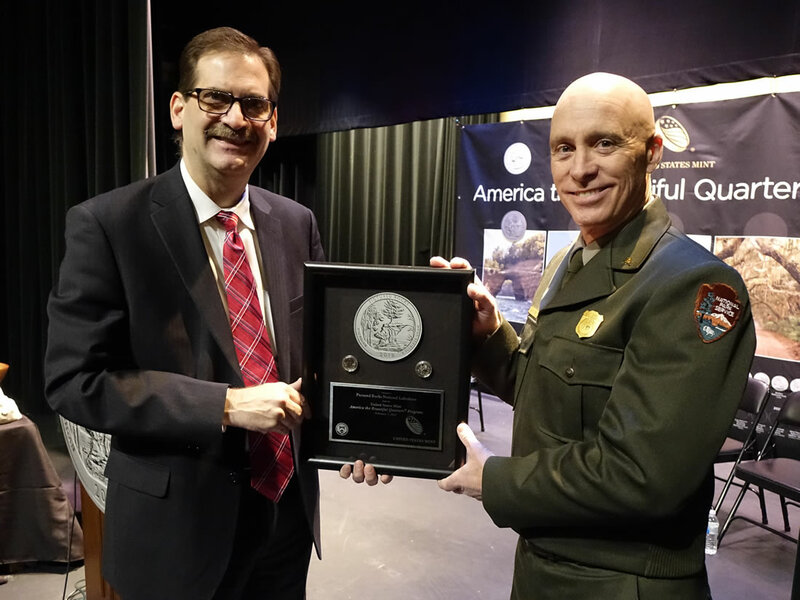 Marc Landry, Acting Associate Director of the Numismatic & Bullion Directorate, United States Mint, presents Pictured Rocks National Lakeshore quarters struck on the first day of production to Pictured Rocks National Lakeshore Superintendent David Horne during the Feb. 7, 2018 launch ceremony in Munising, Mich. The coin is the 41st release in the United States Mint America the Beautiful Quarters® Program. U.S. Mint photo by Jill Westeyn. Around 950 people attended the launch ceremony hosted by officials from the United States Mint and National Park Service. More than 500 schoolchildren received a Pictured Rocks Clark quarter for free. 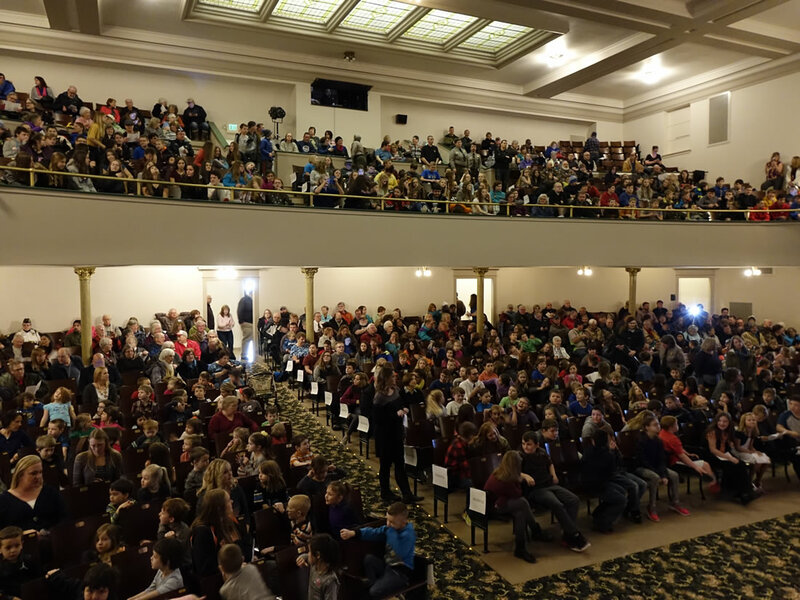 A crowd of about 950 people witnesses the Feb. 7, ceremonial quarter launch. U.S. Mint photo by Jill Westeyn. 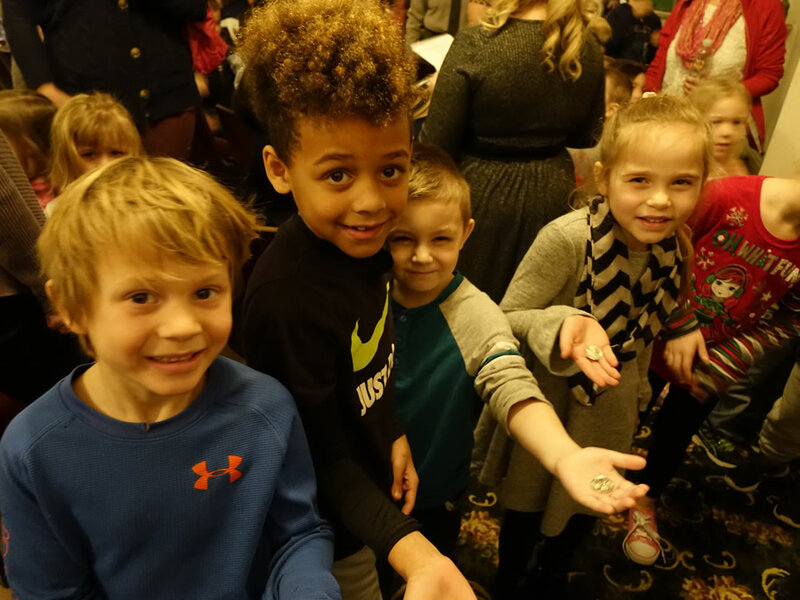 Kids proudly hold their new Pictured Rocks National Lakeshore quarters. U.S. Mint photo by Jill Westeyn. 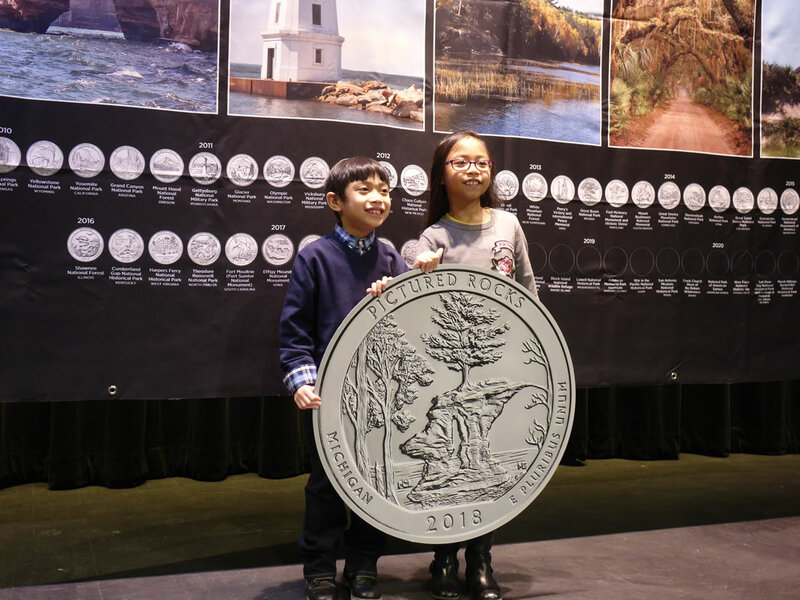 Artistic Infusion Program artist Paul Balan’s children pose with replica of the Pictured Rocks National Lakeshore quarter during the launch ceremony. Balan, shown further below, designed the quarter’s reverse. U.S. Mint photo by Tracy Scelzo Chavez. As seen in the above photo, the coin’s reverse (tails side) depicts one of the park’s major points of interest, Chapel Rock. "This new coin not only reflects one of the many unique features of the longest freshwater coastline in the United States, but also the breathtaking natural beauty of the state," said Marc Landry, a Michigan native and Acting Associate Director of the Mint’s Numismatic and Bullion Directorate. Katherine Reynolds, Executive Director, Greater Munising Bay Partnership, serves as Master of Ceremonies during the ceremony. U.S. Mint photo by Tracy Scelzo Chavez. 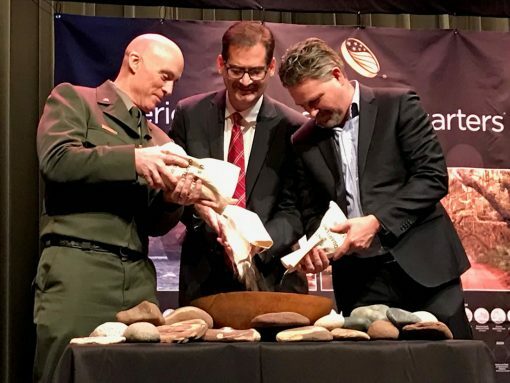 United States Mint Acting Associate Director of the Numismatic & Bullion Directorate, Marc Landry and Pictured Rocks National Lakeshore Superintendent, David Horne, and Deputy Director, Office of External Relations, Department of the Interior, Tim Williams, participate in the ceremonial coin pour during the quarter launch. U.S. Mint photo by Debbie Dawson. National Park Service employees gather for a photo with United States Mint Acting Associate Director of the Numismatic & Bullion Directorate, Marc Landry and Pictured Rocks National Lakeshore Superintendent, David Horne, and Deputy Director, Office of External Relations, Department of the Interior, Tim Williams. U.S. Mint photo by Jill Westeyn. Others ceremony highlights included performances by the Munising High School Concert Choir, which provided pre- and post-event music, and an appearance by United States Mint Artistic Infusion Program artist Paul Balan, who designed the quarter’s reverse. 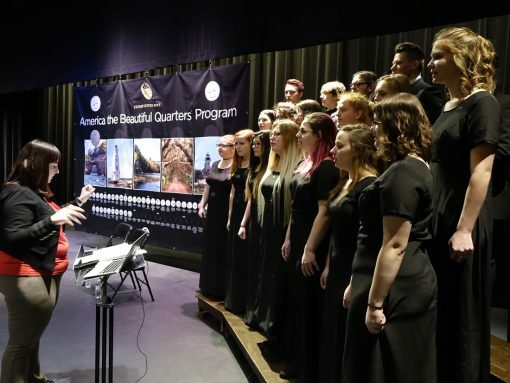 The Munising High School Concert Choir sings the National Anthem during the quarter ceremony in Munising, Mich. U.S. Mint photo by Jill Westeyn. 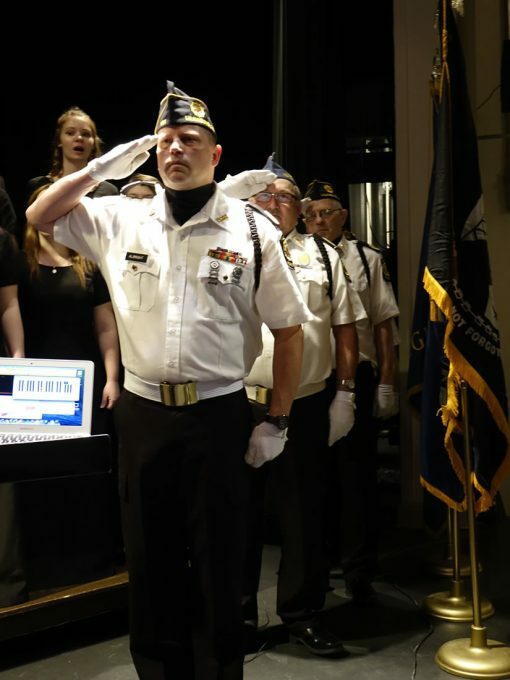 American Legion Post 131, Munising, Mich., present the colors during the Pictured Rocks National Lakeshore quarter launch. U.S. Mint photo by Jill Westeyn. Artistic Infusion Program artist Paul Balan is recognized for his design of the Pictured Rocks National Lakeshore quarter during the launch ceremony. U.S. Mint photo by Jill Westeyn. After the quarter ceremony, many attendees took part in the traditional coin exchange. 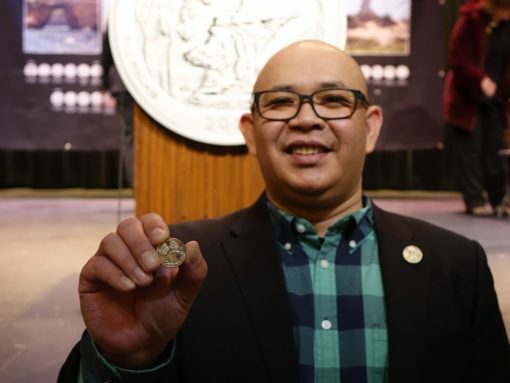 About $16,000 in P-mint mark quarters were swapped for cash. 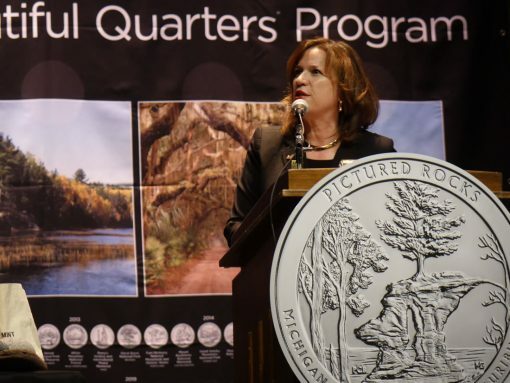 Rolls of Pictured Rocks National Lakeshore quarters are exchanged following the ceremony. U.S. Mint photo by Jill Westeyn. 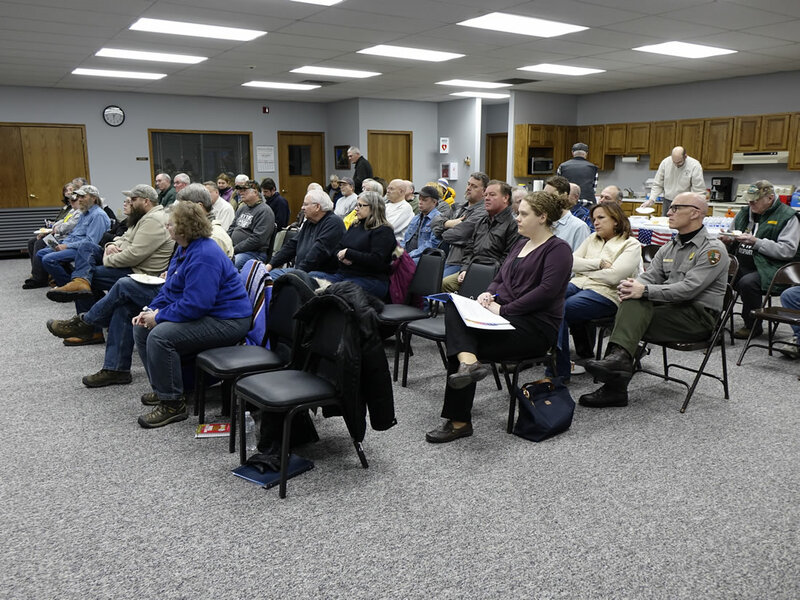 Another highlight for 50 collectors and local enthusiasts was a coin forum held on the evening before the ceremony where attendees listened to and asked questions of Mint officials. The public gathers at the U.S. Mint Coin Forum Feb. 6, 2018. Mint photo by Jill Westeyn. 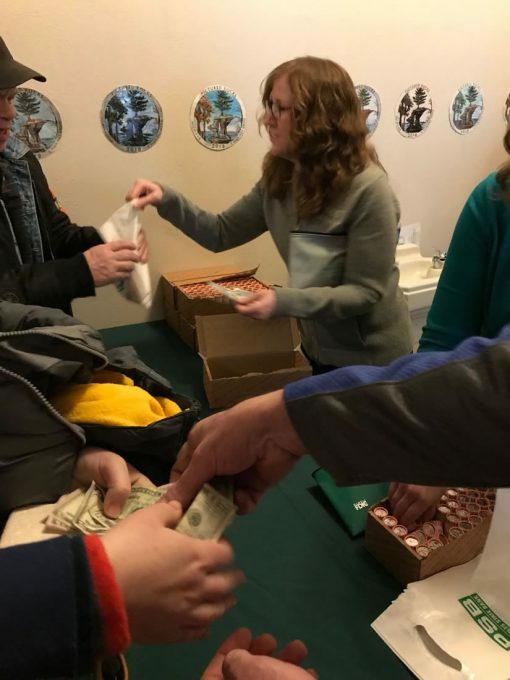 Pictured Rocks quarters started entering circulation on Monday, Feb. 5. On the same day, the U.S. Mint released the new quarters in rolls and bags. Available options include coins struck at the Philadelphia, Denver and San Francisco Mints at prices ranging from $18.95 to $46.95. The U.S. Mint’s America the Beautiful Quarters® Program launched in 2010 and will celebrate 56 national parks and other sites through 2021. The Pictured Rocks National Lakeshore quarter is the 41st released since 2010 and the first of the five unique 25-cent designs for 2018.